The Marketing Blog. About the Wisdom of Internet Marketing, which is defined as the life blood of business. Using Internet Marketing tools, service and internet marketing tips. I did Social Media Marketing heavily with the result, my dotcom, www.eastrovedica.com got 100% marks for Social Media Impact ! I got 5000 friends on FB and another 5000 on G +. I created FB pages for my sites and got a lot of likes. I will do so for my marketing dotcom, www.marketingeducate.com, which has less hits ! It has been defined as the process of following an online reference to a brand or a person. The negative opinions are handled by ORM and reputation rectified. ORM monitors negative opinion, evalutes and takes rearguard action against such opinions and makes general opinion about you and your company positive. Now, ORM is the buzzword, and the reputation of your company and you, as the ceo, depends on how much ORM you can do ! I created six videos and uploaded them to Youtube and other video sharing sites and for one week I was on Video Marketing. I am using Windows Movie Maker sw to create the videos. Making videos is fun and it took 2.5 hours today to create my sixth video, Zodiac $tock Market Astrology. I converted it into a swf file and uploaded it onto my site, www.stockmarketastrology.com. I have so far got 266 views on Youtube for my six videos so far. And there will be many more views. In 2006,Youtube ushered in the Video Revolution. In 2007, Web 1.0 changed to Web 2.0. The Social Media Revolution ushered in by Facebook and other social sites changed the Web. Now there are more than 1000 social sites which are very popular. You can upload photos, videos, music, blog, link etc to these social sites. Social Marketers recommend creating profiles on these sites and uploading your photos and videos to these sites. 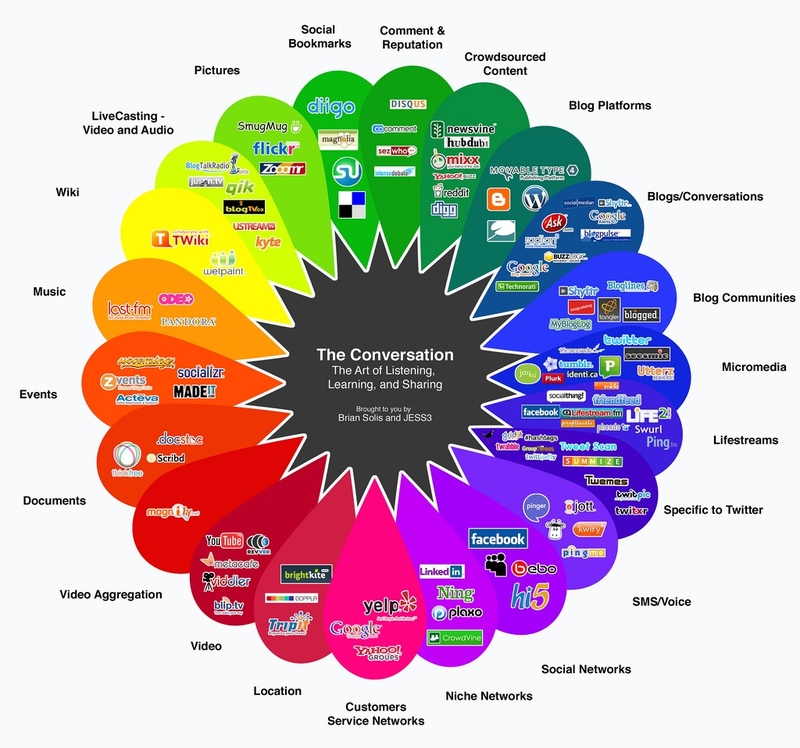 So Web 2.0 is more collaborative, participative and interactive than Web 1.0. We also have to change accordingly. Encourage the mashup. By creating videos, we can give the url and the embed code for other bloggers. Those who are interested can insert these in their blog/site pages and lo ! our videos travel around. Ideally the video can be of 2/3 minutes duration. People do not have time to view for a long period. Content is always King on the Net and you should have quality content in the video. Each day, more than 100 years worth of Youtube videos are watched on Facebook and video views are growing exponentially on social sites. Video Marketing is defined as a powerful marketing tool. You should create quality videos, keep it simple and short ( Keep it simple, Silly ), optimise it for the search engines and promote it rigourously. There are many video sharing sites to which you can sumbit your videos. and many other video sharing sites. Intellectual Marketing XVII - The Eightfold Marketing ! where V is Volume or the number of customers is a function of Marketing expenditure. Success is verily dependent on Marketing. Well, Marketing can take you from obscurity to omnipresence ! 90% of our time and 70% of our budget should be spent on Marketing, as advertising is the lifeblood of business. We have to understand that Marketing is different from selling. Never sell, influence. Write about your business field and give useful tips to your readers and they will revert to you. Now the rage over the Net is Video Marketing. You can make videos using Windows Movie Maker and then submit them to video sharing sites like Youtube, Google Videos, Vimeo, Yahoo Videos etc. Normally 3-5 minutes are preferred and you can share your knowledge with the international community that way. You can tag your videos with rich keywords and be sure to include a link to your site. Dont bother if there are stumblings. If there are stumblings, it only shows you are human ! You can upload these videos to your site and then give the url to your readers. You should also give the embed code, so that other bloggers can dispay the videos on their blogs and this will give you worldwide exposure. You can create softwares and upload them to your sites as freeware. Many will download these and it will give you added exposure. You should create great profiles on social sites like Facebook, Twitter, Google Plus, Orkut etc. Get as many friends as possible. You can share your articles, photos and videos with your friends, who will do the marketing for you. You should give links from these social sites to your sites and blogs. Not only proflies, but also Pages should be created on these social sites. You can ask people to like your Profile and Pages. Web democracy is vital and if many like your pages and profile, your site will become more popular. You can create articles and submit them to article sites and social sites. Be sure to link your sites and blogs in the resource box. You should proof read, proof read and proof read. You can also get someone check your articles. The Ultimate promotion tool is undoubtedly Article Marketing. There are many who think Article Marketing is dead. It can never be so, as the Net is a written medium ! You should create a eZine and then send it to opt in subscribers. My Ezine, the Z Files, has more than 40 K subscribers. I incorporate articles and tips in this Zine and send it to subscribers free. eZine is a must in Relationship Marketing and it is a great method to be in touch with your subscribers. You can create free blogs on Blogger. You can write about the subjects you know and share your knowledge with the international community. Blogs gives you great exposure. Optimise your content, as Optimised Unique Content is the marma of the Net. You should blog daily. Update them with the latest news. I have a cricket blog and I update my readers with the latest news. You can give tips to your which will be appreciated worldwide. You should join lists. For instance, I subscribed to many Astro Lists and I contribute about the psychic sciences to these lists. In your sig file, you should link these posts to your sites, blogs, profiles and pages ! Useful information should be provided to these lists so that people can benefit from your knowledge. Knowledge should be shared with the international community. Also wealth. You can write articles and send it to offline publications. In India the online world is only 10% and the rest 90% is offline. So offline advertising should not be neglected. You can appear on TV and advertise yourself sublty. You should be a public figure in newspapers as well. Advertising, Marketing and Branding is the A of business. Let us not ignore this vital factor ! When the video revolution began, text gave way to videos. Article Marketing gave way to Video Marketing. Now Video Marketing is the most powerful tool in the marketer's arsenal. You should link your video to your website. Use the KISS principle ( Keep it simple, stupid ). Usually videos 3-5 minutes long are preferred. Even though a 3 minute video is not a video at all ! You dont have to feel shy facing the camera. If you are shy, you can put somebody else's face. There may be stumblings when you are speaking, but that shows that you are human. You can start as a novice and with experience you can become a professional. 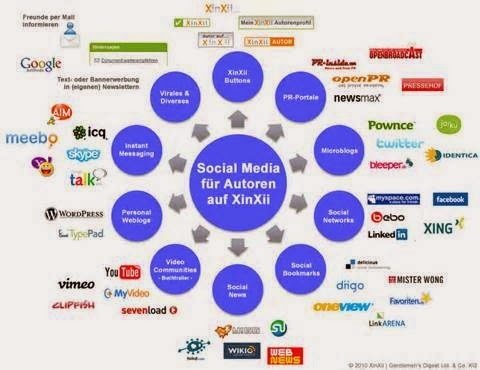 Social Media Marketing is the order of the day and the above diagram is self explanatory. Create accounts in Facebook, MySpace, Google+, Orkut, Twitter, Youtube, Flickr etc and establish social contacts. 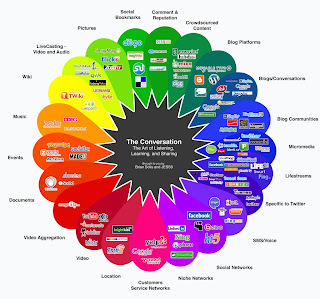 From these social sites, traffic will come to your blogs and sites. Never brodcast, never sell, just disseminate information and people will like you and come to your sites and blogs to know what you have to offer. Use photos and videos, along with microblogs or tweets and articles in your social site pages and you have joined the SMM bandwagon ! You should have a Profile and a Page in Facebook. You should add friends, not more than 20 friends a day. You should blog daily, that is you should update your status every now and then and upload photos and videos, which are your favourites. A man is known by the company he keeps and hence people will judge what sort of a person you are from your friends, your photos, your videos and articles. Status Updates are microblogs, that is you can write micro blog posts of less than 200 characters. Twitter gives you a microblog of 140 characters. Twitter and Tumblr are the great microblogging sites. Microblogs were known as tumbleblogs and hence the name Tumblr. Now all social media sites gives you the Update Status facility. I already wrote on my Facebook Profile, Govind Kumar, that I am updating my Marketing blog today ! That I am writing an blog post about Social Media Marketing ! My 1336 friends will read this and read this article !